A Manta Rays tour by Hawaii Oceanic. Back to all tours. Tour Summary: The famous manta ray night dive in Kona is widely regarded as one of the most memorable dives around the planet. We agree with the experts and think that swimming with the manta rays is one of the Big Island activities that you shouldn’t miss. Many people list this as a once-in-a-lifetime, bucket list experience! Hawaii Oceanic is a Green Listed Activity Provider andverified by the Manta Ray Advocates of Hawaii. Important: Bring towels and a dry change of clothes or sweater to keep yourself warm after the dive on the way back to the harbor! Cancellations: Customers will receive a full refund or credit with 36 hours notice of cancellation. Customers will also receive a full refund or credit in case of operator cancellation due to weather or other unforeseen circumstances. You can read more about this activity in our Manta Rays guide. Check in for Manta Magic is at 4:30pm at the Hawaii Oceanic office (unless otherwise noted, due to seasonal changes). You will meet the crew at the office, then leave the harbor in time to enjoy a beautiful, tropical sunset as you are arriving at the manta ray night snorkeling site. 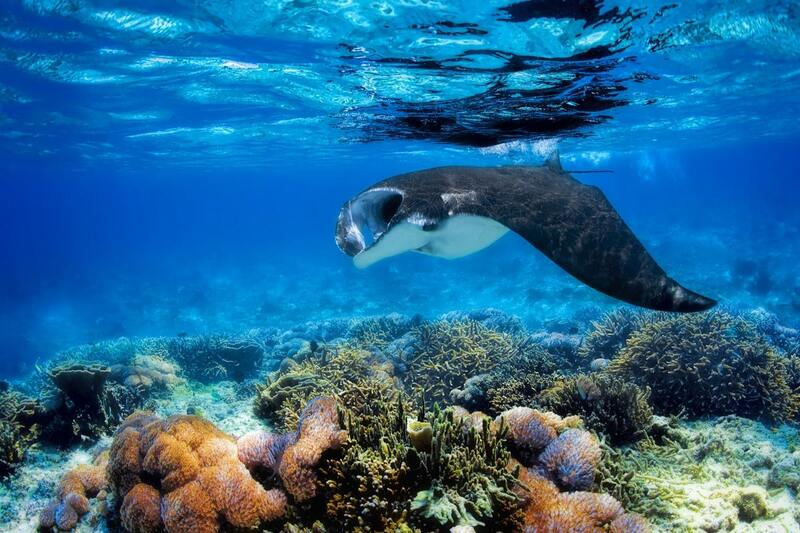 Upon arrival at the chosen Manta ray site your swim guide will tell you more about the Manta ray snorkel experience. A light board is set up in the water for you to hang on to while snorkeling. The light board in the water attracts the plankton, which in turn attract the Manta rays. And, then… the magical experience begins. The Manta rays have learned that the light boards in the water mean food, and the Manta rays will swoop within inches of your face as you lay flat at the sea surface. You will enjoy the Manta ray ballet in the water below you for up to an hour as the Manta rays enjoy their plankton buffet. After your Manta Magic experience, the Pueo Kai will head back to harbor under the light of the stars and the moon. Be sure to gaze upward, as you may glimpse the Milky Way on a clear night. You will arrive back at the harbor between 8 and 8:30pm. The following video shows footage shot by Davit Lent of a Manta Ray Dive in Kona. The difference with the Manta Ray Snorkel (this tour) is that, during the snorkel, you see these gentle giants from above. 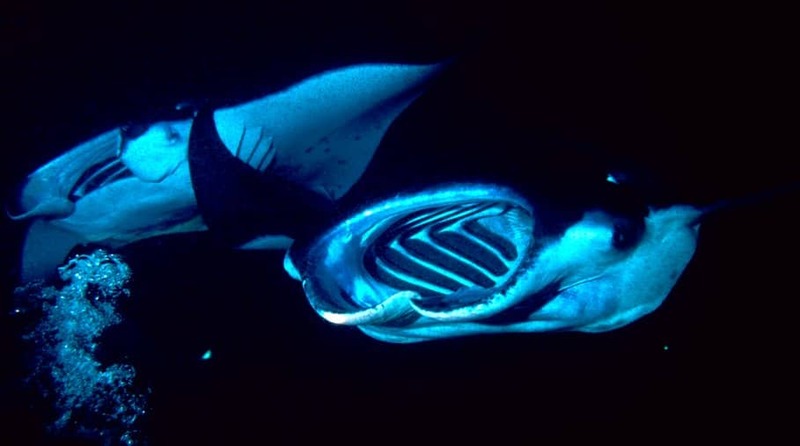 The Manta Ray Night Dive/Snorkel is a very popular activity for understandable reasons. This popularity has driven a large and unchecked growth in providers that offer these tours. 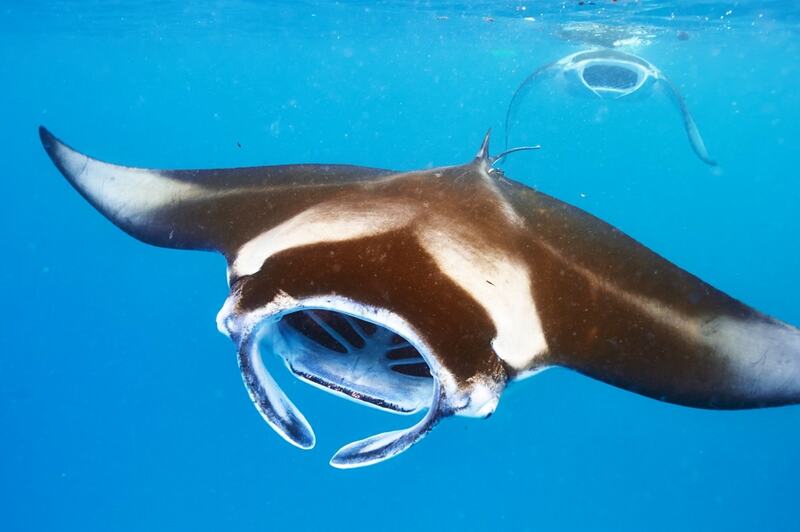 Finding a balance between what is good (sustainable) for the Manta Ray population and earning an income unfortunately has put a lot of pressure on the Manta Rays, and all self-regulation efforts tried by the industry since have failed. Because of this, Hawaii Ocean Watch (HOW) created the Manta Ray Green List to protect the Manta Rays in Hawaii. to create marine-life friendly encounters. 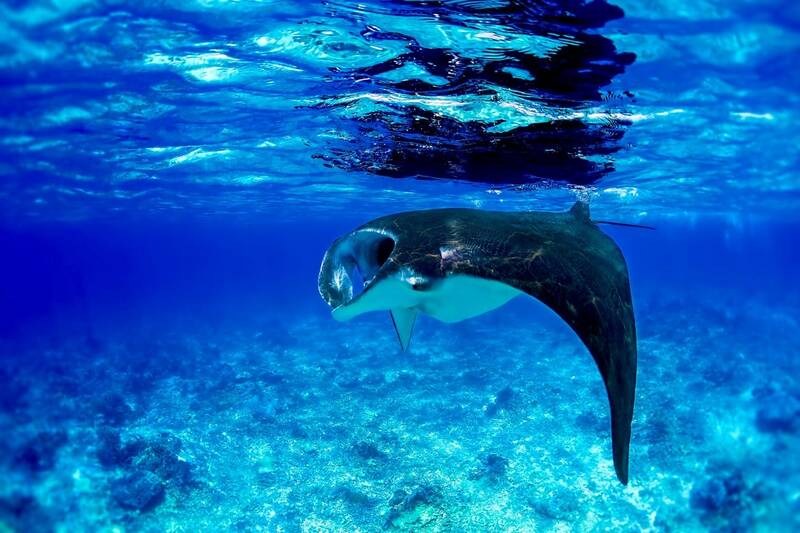 You can find all green list criteria here, and find the Manta Ray green list here. We are affiliate partners with Hawaii Oceanic meaning that we receive a percentage for each successful booking made through our website. This happens without any additional charge to you! (read more on the use of those links on our website here).